Most felt that particularly in Illinois, there just haven’t been enough jobs for the people seeking jobs. So, going back to school, volunteering or even consulting in your field(s) are alternatives to having to explain a major resume gap. A few years ago recruiters/hiring authorities were a bit more forgiving of employment gaps of a year or longer. That may no longer be the case. And one company doesn’t necessarily mean another company will operate in the same manner; nor hiring authorities within the same. For example, we’ve noted managers who refused to consider resumes of people not currently working. And another company whose owner feels that if someone has been out of work for a year is hungry and will work hard for this new boss if hired. People are people. People, whether owners or hiring managers or outside agencies/third-party recruiters or even internal HR folks – often go with their gut. And that gut reminds them of experiences. Too often bad experiences. One where they started to empathize with the longer-term unemployed and took a chance on hiring only to have it backfire; finding themselves having to fill that role once again in short order – either because a better offer was waiting in the background, or the new hire just didn’t meet expectations. What was expressed in detail in response to this question – was that a seasoned job seeker needs to understand that education is not an open invitation to a new job or a promotion. In one opinion – online degrees offer little value to an employer. Quality and content of the education is what matters, yet to varying degrees and along with prior experiences. 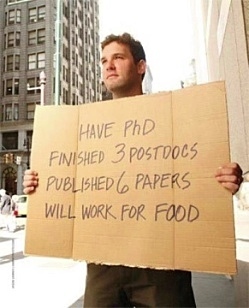 The cost of education isn’t always worth it in the long run. However, often from an HR perspective, or an organization that touts itself as progressive, intelligent, and sets the bar in certain areas – the college degree (mostly 4 year) will get into the YES pile and chances are – the experience only pile may not get a second look if the right blend of both is in their hands already. Note: The above are opinions shared from others, and may not necessarily align with ours. There are variables in everything. Categories: Career, Career Transition, Chicago Southland, IL, Job Search, Mokena, Oak Forest | Tags: degrees without experience, over educated, resume gaps | Permalink.